Celebrating Benson native, Jimmy Capps 60 Years musical career. 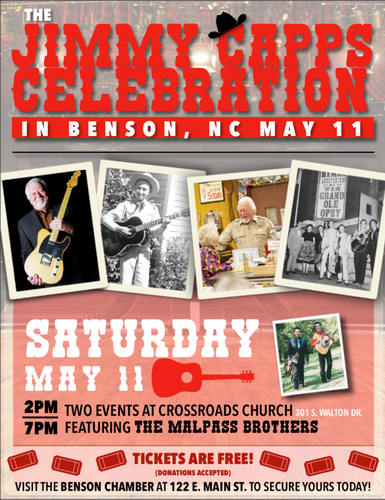 Concert featuring the Malpass Brothers. Jimmy will sign his new book after the show. The concert is free but you must have a ticket to attend. Tickets can be picked up at the Benson Chamber office at 122 East Main Street. Only 4 tickets per person.